If you need a new hot water heater, we can install it fast. Our technicians are factory-trained to install a variety of different brands and because we know them all, we can recommend the best unit for your needs. 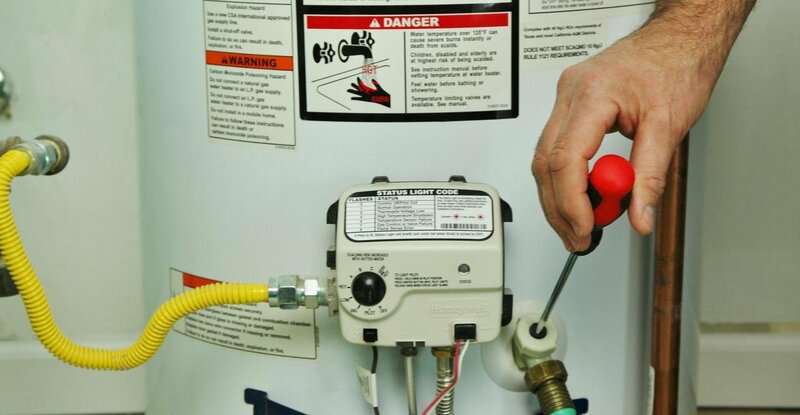 When you need to repair your existing hot water heater, you can trust our technicians. They understand the systems inside and out. Free Estimates on custom projects. For information regarding AC repair, AC Maintenance or Air Conditioning Replacement and Installation, simply call 303.233.7007 for an estimate. We offer 100% satisfaction! We hope to continue to serve you and your family for years to come. You already know us as the premier plumbing and heating company in Lakewood, CO, and surrounding areas. Lakewood Plumbing & Heating is also the leader in water heater maintenance, service, and replacement. There are some tell-tale signs to look for that will help you to know when the time is right to invest in expert water heater installation from Lakewood Plumbing & Heating. 24 Hour Emergency Service. Call Lakewood Plumbing & Heating for your plumbing emergency. We have a great team from office and dispatching to our highly trained technicians. We’re a full service residential and commercial plumbing, heating and air conditioning, contractor. We do everything from minor repair work to installation of furnaces, boilers, water heaters and even replacement of pipes. Lakewood Plumbing & Heating provides professional home heating services to the cities of the Front Range Colorado. At Lakewood Plumbing and Heating, we’re proud of our years of service to the Denver Metro Area and look forward to helping you with your air conditioner needs. We service all types of plumbing inside your home from faucet repair to water heater replacement to new pipe line installation and repair. Lakewood Plumbing and Heating is a Certified Plumbing and Heating Service and installation contractor.